Batteries - an indispensable thing in electronics. Standard of quality and ubiquity of usage in laptops today is the lithium-ion battery (Li-Ion). They have big volume and light weight. The disadvantages of this battery type are high cost and a relatively small temperature range for operation. To the battery lasts longer, you need right the first time charge the laptop. - notebook PC user manual. Make sure that your notebook contains a lithium ion battery. This feature look in the manual or on the box of the computer. The manufacturer designates the type of combination of letters battery Li-Ion. A new laptop usually has an uncharged battery or partially charged. Li-Ion system has no "memory effect" inherent in the devices of the earlier production. Also this action is not subject to the batteries next generation lithium polymer (Li-Poly). But in order not to bring down the system, you need first time charge the laptop. Not including the computer, connect it to the charger and let it charge the first time overnight. So you are guaranteed to receive the maximum charged battery. If you do not resist and turned on the laptop after 10-20 minutes the first charging battery icon can show 100% commitment. Turn off the computer, remove the battery, wait a few seconds. Insert the battery into place. Connect the laptop to the charger. When charging the battery may become hot. To battery new laptop has reached its maximum capacity, it is necessary "to train". After a night of charging, disconnect the power supply from the network and work offline until the battery is fully discharged. At night, again connect the computer to the network. Perform data manipulation several times (3-5) to develop the battery. Keep in mind that the new battery charges and discharges faster. Real time computer work in offline mode in the beginning may not conform to the characteristics specified by the manufacturer. Do not hurry to run to the store after a few full charges the battery can easily withstand the specified time. To extend the life of the battery, not discharge it to 0, and to achieve 20% of the total charge. To extend battery life, use the function "energy saving". With the power off from the mains the laptop after a while you need to charge. The battery on average is enough for 4-12 hours, depending on the model of the laptop and quality of the installed batteries. If you first charge the battery, wait for its full charge. So it is advisable to do always, even if you have previously loaded the laptop. This simple rule will extend the battery life. Insert the power cord into the slot provided. It can be located on the side of the laptop and on the rear panel. Entrance is usually round shape. When you try to insert the wire in the wrong socket, you just won't work. After you have inserted the wire into the socket, insert the charger plug into the socket, the voltage which should be 220 watts. Once the battery starts to charge, this light will turn red indicator after full charge the battery will change its color to blue. Then disconnect the cable from the laptop and remove the plug from the socket. If the battery is not charging, turn off the computer. On some notebook models, the battery is only in off mode, otherwise the computer just works directly through the network. The laptop differs from a desktop computer not only for its appearance, ease of transportation and a built-in UPS – you can turn it off not like a normal computer! No, of course, the laptop should not turn off just by pressing the power button (although, in some cases, it helps to cope with freeze), but to configure shutdown when you close the lid easily. Besides, it is also conveniently finished work, closed the lid and the laptop is disconnected. And it is not necessary to press the "start" button and choose "shutdown". So when you close the lid of the laptop , the operating system has received a shutdown command, you need to do some settings. To do this, click the right mouse button on the desktop and select "Personalize" (Windows Vista and 7) or Properties (Windows XP). In the dialog box, click the "screen Saver" (Windows Vista and 7) or click on the tab "screen Saver" (Windows XP). Click on the active link "Change power settings", click "Action when closing the lid" and set the value to "shut down" for operating modes "on battery" and "From network". Click OK to make the changes take effect. In addition, you can configure a different way to turn off the laptop. Not to look for the button "shutdown" in the start menu, the laptop can be turned off by pressing the power button. To do this, set the value of "shutdown" as a verb when you press the power button. Click "OK". Now you can turn off the laptop is not like a normal computer! Buying a desktop computer or a laptop without a preinstalled operating system, you can save quite a large sum. Naturally, in such cases it is necessary to be able to install Windows. 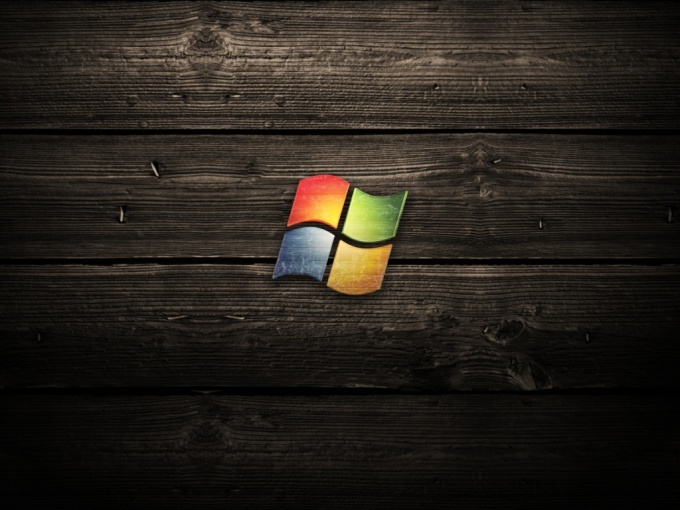 To start, try to install the operating system Windows 7. First, this is a fairly new OS from Microsoft, and secondly, during installation of the operating system you will be able to create multiple partitions on the hard disk. Open DVD drive and insert the installation disc of Windows Seven. Restart the laptop. Press Del or F2 (depends on the brand of the laptopa) to enter the BIOS. Find the Boot Device Priority menu. Open the parameter First Boot Device and set your drive as primary bootable device. Click Save & Exit. After restarting the laptopand the screen bar is displayed Press any key to boot from CD. Press any key to boot from disk. If you have a disk that contains multiple versions of the operating system, select one and click "Next". Select the language of the installer. Note that the selected language will apply only to the installation process, instead of by the operating system. When the window appears, containing the list of existing hard disk, click "drive options". In that case, if you want to create multiple partitions, select an existing disk and click "Delete". Click "Create". Select the file system format of your local disk. Set its size. Repeat this algorithm to create one or more partitions. Select the local drive on which you want to install the operating system, and click Next. After some time, the system will automatically restart the laptop. Create and enter the name of the primary user, set its password. Select firewall. After the first login to the operating system be sure to install an antivirus and, if desired, the firewall. The user never had a case with the laptop at the beginning of the work with it can experience certain problems. To the first inclusion of the purchased device did not cause difficulties, should remember the basic sequence of actions. Usually first start up of the laptop is still in the store, while checking a purchase. Knowledgeable seller will show you how to turn on the device, and will perform all the necessary for the first run steps. If this did not happen, and here is a box with just bought a laptop to work with him will have to learn on their own. Remove the laptop from its packaging, remove the protective film. Insert the battery into the battery compartment on the underside of the device, connect the power cord and plug it into the network. On the notebook, usually the left, should turn on the light is orange, signaling the start of battery charging. If the battery is charged, the indicator will be blue. Raise the laptop screen, if you haven't already. Connect the mouse to any USB port to work with it easier than with the touchpad (touch panel). Then locate the power button, it is located directly under the screen. As a rule, the Central button to the left and right of it can be the power button of the touchpad and Wi-Fi. Press the power button. Lights up the second (blue) indicator light, the power button is highlighted. The screen will run the first line check the configuration of your computer, then the screensaver appears bootable OS. Usually on most laptops comes pre-installed with Windows 7. The first boot process may appear several Windows in which you will need to enter some information. For example, the name by which you will work on a laptop, your preferred language (select Russian), time zone etc. All these steps are simple and straightforward and will hardly cause any difficulties. In the absence of the mouse or use the touchpad. 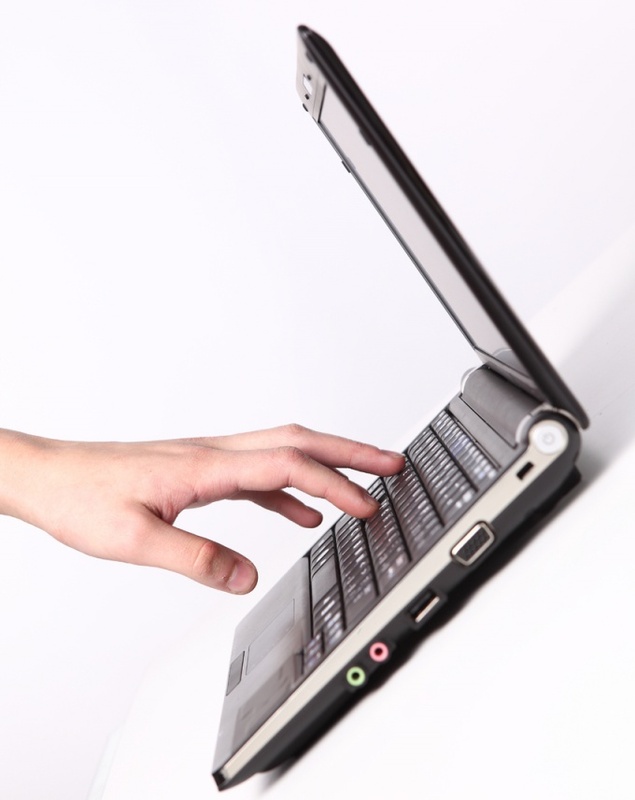 To check, swipe your finger across the touchpad, the cursor should move. If he's not responding, the touchpad is disabled. To enable it click the button next to the power button on it or there might be hand drawn, concerning the touchpad. In the open position, the button of the touchpad can be illuminated orange indicator. After entering all the data the system will save them, you will see Windows 7 desktop. The laptop is ready to work. Ways to make laptop not turn on quite a lot. Each of them differs from another element, which is necessary to address to eliminate the possibility of turning on the computer. Decide what kind of Troubleshooting on your notebook you are more comfortable. In this regard, there are two main types: technical and programmatic. Technical methods aimed at changing the connection of units laptop. In this case you will have to work with his hands, and the laptop is seemingly faulty. The software is based typically on changing the settings of the boot process laptop. This may be due to changes in the operating system boot and prevent the boot device in the BIOS. If you want the laptop seemed quite "dead", the most simple and effective way is to disable the power circuit. This means that you will have to disconnect the power plug on the motherboard. However, this method is dangerous if you are not well versed in the intricacies of the connection elements of the computer and you have no experience opening a laptop. 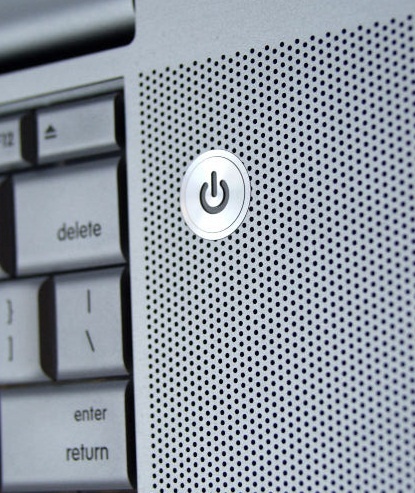 More simple ways are disabling the power button on the laptop or disconnecting items such as the hard disk or RAM. The mute button will allow to disguise of the surgery, but it is not always possible to get close enough to connect the button to turn it off. Hard disk and strap memory, as a rule, are on view. Remove the back casing of the laptop using a notched screwdriver. Do not give excessive force, if any part of the body is not removed. Try to Unscrew all the screws and carefully remove the cover. Removing the lid, you'll notice that you have access to the hard disk, RAM and to connect the cooling fan (cooler). Disabling any of these elements will not allow the system to operate. Use software to disable the laptop boot if you don't want to get into the computer. Turn on the laptop and in the beginning it is loading press F2. A window will appear with the BIOS settings. Going to the tab Boot, you will see a list of devices that are loaded by the processor when turning on the laptop. Devices in the list are arranged in the order they are loaded. In order to download the operating system has not started, select it in the list with the name of the hard drive. Press the Enter key. Will appear the list of devices. Select any other device is listed, or, if possible, empty paragraph. Press F10 to save settings and reboot. Now download to your laptop will stop almost immediately after switching because of the inability of the hard disk. Tablets and laptops – amazing mobile device, but their lifespan depends not only on the motherboard and the reliability of memory, but the battery that powers the device. To the laptop battery has not failed you at the most inopportune moment, right charge. Basically, all modern laptops are equipped with lithium ion battery, all laptop computers equipped with a control system of charge/discharge of the battery, which allows to determine the critical power level. If you plan to leave the laptop out of work for a long time, it is recommended to reduce charge its battery up to 45 – 70%, as in this battery is stored better and longer. 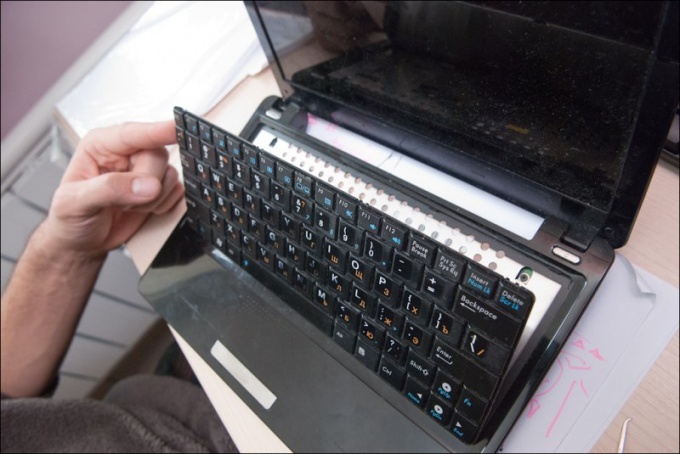 Better yet, remove the battery at all, but this is not possible in the desktop or netbooks. When using a laptop do not allow permanent full discharge of the battery. The battery is recommended to discharge up to 15 - 20%, and then to connect to the power supply until the full load capacity. Cycle the battery is fully discharged you need to perform not more often than once a month, because the modern lithium ion batteries do not have to discharge completely. These batteries can be recharged without harm being discharged to 45-75%. Do not store discharged batteries for a long time. Such storage can lead to loss of battery capacity. To save battery in working condition, must be charged for 12-20 hours after a full discharge if battery replacement or, for example, from last PC, but not used now, place it in a special container, which will help to maintain the correct working of the charge. These devices are very expensive and to find them in the store is not easy, however, you can order online, for example, the Chinese equivalent of the website e-bay. It must be remembered that the heating of the battery when charging is highly undesirable, and accordingly, the network connection should be in places where there are no heating appliances and direct sunlight. It is also impossible when charging the laptop is put on the surface of the sofa or on the carpet. This is due to the fact that the charging battery heats up slightly, it requires natural cooling: for that laptop has legs, through which is formed the distance for ventilation between the base and the surface on which it is installed, running and the fan. Hair and fiber cases will not allow the system to operate correctly. You can purchase a special stand with an extra fan, these devices will not only save battery, but will make working on your PC more comfortable. Avoid overheating batteries that are in operation, remember that for Li-Ion working temperature are from 5 to 45 degrees. Excessive heating of the battery, as well as her imminent discharge is an indication that the battery goes down. 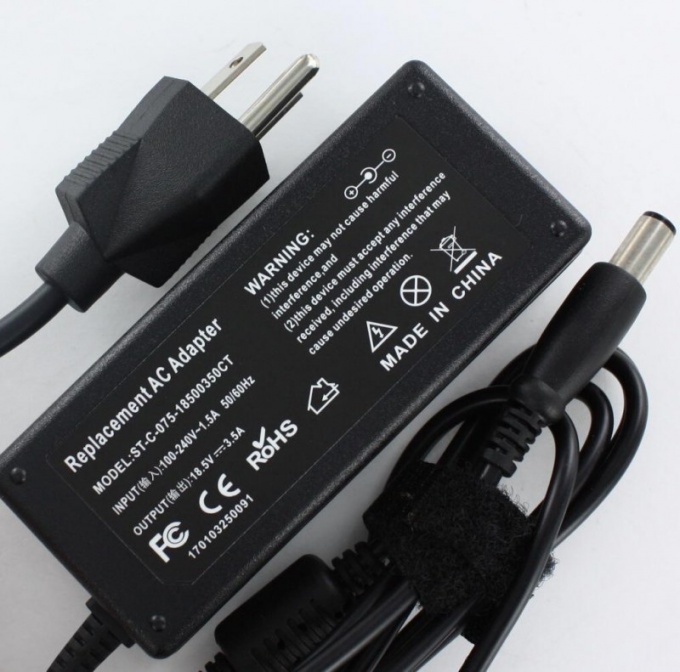 In recent times, there are so many different programs with which you can control the process of charge/discharge of the battery in the laptop. These programs, including free, there are on the Internet. Download one that will let you to connect your computer to a network audio signal, it is very convenient, because you can follow a small icon in the corner of the monitor is difficult. batteryi 9. to battariat 10.